While this insightful quote by H.E. Luccock, an American Methodist minister, might not have been well-known among the business intelligentsia of the 20th century, today—almost a century later—his wisdom on unity resonates strongly among companies in the technology field. Modern-day companies competing in the IT marketplace are being upended every day as new technologies enter the IT orbit. Incumbent technologies such as cloud computing, artificial intelligence, and blockchain—stars of the enterprise technology realm—are not just redefining IT and businesses, but also the society. In the past, organizations typically responded to disruptive opportunities by launching transformation initiatives within their technology domain. For instance, companies used to roll out domain-specific solutions in the realm of cloud, analytics, or blockchain. While these approaches have earned firms streaks of success in the short term, experts believe that these one-off, siloed efforts lack the fuel to propel a ‘revolution’ engine in the long run. Perturbed by this problem, three progressive-minded entrepreneurs—Shaun Maine; his brother, Shane Maine; and Gordon McMillan—came up with an idea: What if there was a way to unite different, locally-operating IT solution providers and build an alliance capable of utilizing their individual expertise to compose a ‘technological’ symphony? By combining the efforts of multiple companies, they believed that the complex business and IT issues faced by many organizations could be solved. The trio co-founded Converge Technology Solutions in 2016 as a result. Converge’s goal is to build a coalition of regionally-focused hybrid IT solution providers that aims to deliver leading-edge solutions and services to customers. The company’s capabilities are further enhanced by amalgamating firms that exhibit advanced expertise in cloud solutions, blockchain, resiliency, and managed services, enabling Converge to broaden the horizon of its solution portfolio when it comes to addressing some of the most critical IT challenges. Spreading the acquisition arm across the globe strategically, the unique conglomerate has the ability to efficiently serve the needs of customers worldwide. Presently, the company’s focus is to make well-thought-out acquisitions—where each of the organizations demonstrates different proficiencies—in locations across North America. In the last 18 months, Converge has made eight critical acquisitions with a mission to offer greater value to clients. Furthermore, the company maintains strategic relationships with key industry leaders, such as IBM, Microsoft, Cisco, DellEMC, Amazon, Pure Storage, and others, that further complement and strengthen its product and service offerings. 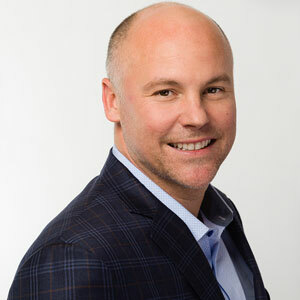 John Flores, executive VP of Converge, states that “We are one of the top three IBM partners in North America.” With Converge, customers gain a trusted partner that brings together world-class solutions and services, while helping reduce costs, increase efficiency, and create competitive advantages. Thus, Converge’s business ideologies are not limited to reselling the different technology offerings of its strategic IT partners. Rather, it orchestrates end-to-end solutions that remodel an organization’s IT architecture to meet their current needs while also making the IT infrastructure future-ready. Recent market studies suggest that digitalization is rapidly moving forward, and it is predicted to reach a market size worth $800 billion by 2025. To tap into this booming market, the leadership team welcomed Lighthouse Computer Services into the Converge family. “Bringing second-to-none software and cloud platform capabilities has been the core facet of Converge’s strategy. Considering that, Lighthouse Computer Services’ passion toward driving digital transformation with a focus on building secure cognitive applications in hybrid cloud environments will have a significant impact on the growth of Converge’s business vision in the long run,” Flores remarks. Under the able leadership of Greg Berard, president of Lighthouse Computer Services who was also recently named Converge’s president for the east region, Converge aims to help organizations solve their IT challenges by applying innovative cloud, cognitive, and cybersecurity technologies. Coming onboard with Converge in December 2018, Berard immediately perceived a sense of likeness between the two companies. He states, “Lighthouse has always strived to remain at the forefront of innovation, and working with our peers at Converge helps us enhance our existing cloud platform capabilities.” In addition, Greg and the Lighthouse team bring to the table substantial expertise with a proven track record of delivering Red Hat and IBM solutions, which further intensifies Converge’s goal to be on the front line of offering top-notch hybrid cloud solutions in the U.S. For the past two years, Lighthouse has been one of only 12 premier partners with Red Hat, an impressive feat in the industry. Apart from Lighthouse, Converge’s family of companies also includes Corus360, Northern Micro, Becker-Carroll, Key Information Systems, BlueChipTek, and a strategic investment in the Essex Technology Group. With their combined efforts, they have “the power to bring a wide range of capabilities, understand complex technologies like microservices and containers, adopt multi-cloud platforms, and implement stringent security parameters, thereby adding greater value to our client’s hybrid cloud environment,” says Berard. Much like the company’s collaborative business framework, Converge employs a synergistic approach when it comes to working with clients. Taking the instance of Lighthouse to explain Converge’s client onboarding practice, Berard says, “one of the foremost actions we take is to send a team of pre-sales architects to assess and understand their requirements and expectations. Depending on those insights and the clients’ focal points, tasks are delegated to specific experts in the arena.” The specialists then proactively communicate with clients to comprehend their niche requirements and build a tailored hybrid IT solution. Once the solution has been implemented, Converge’s team further ensures its optimal performance through on-going technical thought-leadership or the ability to offer managed services. This unique business model has won the company additional commendation in terms of its partnership with IBM. Accredited as a platinum partner in IBM’s PartnerWorld Program, Converge is viewed as a game-changer in the hybrid IT world, “especially considering the fact that we have so many IBM solution providers in our ecosystem, giving us a strong footing and providing us with the ability to resonate IBM’s strategic messaging across North America,” says Berard. Converge is also a significant partaker in IBM’s Partner Advisory Council. “This is another decisive power that we continue to leverage as it gives us the competence to establish a strong feedback loop for IBM solutions on behalf of our clients,” Berard adds. Advancing into the future, Converge intends to continue acquiring more innovative firms and ensure the expansion of its existing solutions and managed IT services to spearhead a momentous transformation in hybrid cloud environments. TORONTO, ONTARIO, CANADA - Converge Technology Solutions Corp. ("Converge" or "the Company") (CTS) announced today announced today that it has acquired all of the Class A membership interests in Software Information Systems, LLC ("SIS"), a South-Central US based partner focused on managed cloud delivery, compute efficiency, network optimization, storage optimization, and IT spend optimization, from VBS Holding Company, Inc. ("VBS"), whose owners include the current management team of SIS. SIS brings highly skilled teams of experienced technology experts, business consultants, and industry thought leaders to Converge's fast growing platform. SIS generated revenues of approximately US$89 million including approximately US$13.7 million of managed services revenue, gross profit of approximately US$24.3 million and Adjusted EBITDA of approximately US$2.6 million for the trailing 12 months ended November 30, 2018. Consideration for the purchase consisted of (i) US$11.5 million in cash; plus (ii) the issuance of a right to VBS to exchange the Class B membership units in SIS still held by VBS (which have no right to any economic or voting participation in SIS) for an aggregate of 8,000,000 common shares of Converge (the "Exchange Right"), subject to certain conditions. No exchange under the Exchange Right will be permitted until at least six months from the acquisition of SIS, at which point 1,500,000 Converge common shares will become eligible for issuance pursuant to the Exchange Right. An additional 1,500,000 common shares will become eligible for exchange on each six month anniversary of the completion of the transaction thereafter, such that all 8,000,000 common shares will only be available for exchange following the three-year anniversary of the acquisition. Once all of the Class B membership units in SIS have been exchanged pursuant to the Exchange Right, Converge will hold all of the membership interests in SIS. The Exchange Right will allow VBS to receive the equity component of the consideration for the acquisition of SIS on a tax-deferred basis, while giving Converge full control of, and economic interest in, SIS immediately. "The team at SIS has been committed to assisting our clients understand the challenges and benefits of public, private and hybrid cloud consumption. Our private cloud delivery solutions allow customers to self-provision and manage cross platform capabilities for IaaS, backup, resiliency, and security of their hosted workloads," said Steve Sigg. "We look forward to working with the Converge companies to bring SIS competencies to their clients and introduce the expansive Converge product and service portfolio to our existing clients." "We are thrilled that SIS is joining the Converge family of companies," said Shaun Maine, CEO of Converge. "SIS adds full scale managed services and cross platform cloud solutions, which when combined with the capabilities of Microsoft Azure from Corus; Amazon Web Services form BlueChip Tek; cloud, cognitive and cybersecurity from Essex; and software and Red Hat from Lighthouse add significant capabilities to the Hybrid IT solutions Converge can offer to its customers. This acquisition solidifies Converge as a major Hybrid IT provider in North America." SIS marks the eighth transaction completed by Converge since October 2017. Converge's family of companies also includes Corus Group, LLC; Northern Micro, Inc.; 10084182 Canada Inc. operating as Becker-Carroll; Key Information Systems, Inc.; BlueChip Tek, Inc.; Lighthouse Computer Systems, Inc.; and Essex Technology Group, Inc.
TORONTO, ONTARIO, CANADA - Converge Technology Solutions, Corp. ("Converge" or "the Company") announced today that it has acquired Lighthouse Computer Services, Inc. ("Lighthouse"), a Northeast based partner focused on analytics, hybrid cloud, infrastructure, and security. Lighthouse brings highly skilled teams of experienced technology experts, business consultants, and industry thought leaders to Converge's fast growing platform.